If you take into consideration that it takes Def Leppard 5 years to record an album, we expect it is because they are getting a quality product out. Trent Reznor took a 5 year hiatus from Nine Inch Nails, produced a few soundtrack albums and recorded a few songs for them. Instead of releasing standard album of 10 to 12 tracks, Reznor blasts back with a double-CD 23 track extravaganza. Since 1989's debut Pretty Hate Machine, Nine Inch Nails has been about one thing - pushing the boundaries. The Fragile is no different. Reznor doesn't mince words and punches his way into reality from the starting track "Somewhat Damaged" right through to "Ripe (With Decay)". This is a sonic rollercoaster that has been unleashed on the world. 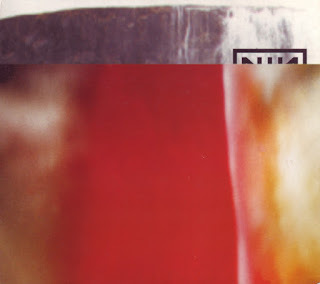 This is the battered and bruised yet still fighting Nine Inch Nails that we've been waiting for. Standout tracks include: the aggressive "We're In This Together", the lamentful "The Great Below", the infectiously danceable "Into The Void" and the funkfest "Where Is Everybody?" I will even go out on a limb here - this sonic soundscape is my pick as the best album released in 1999.